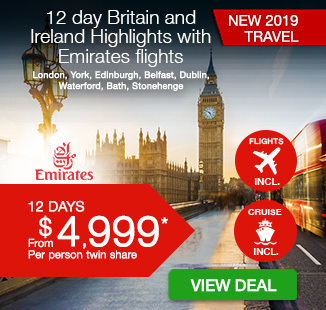 12 day Britain and Ireland Highlights with Trafalgar, including return international Emirates flights, airport transfers, breakfast daily, escorted tour guide throughout, dedicated, air-conditioned transportation, in-depth sightseeing and more. Journey through the best of the UK and Ireland with a 12 day Britain and Ireland Highlights tour. 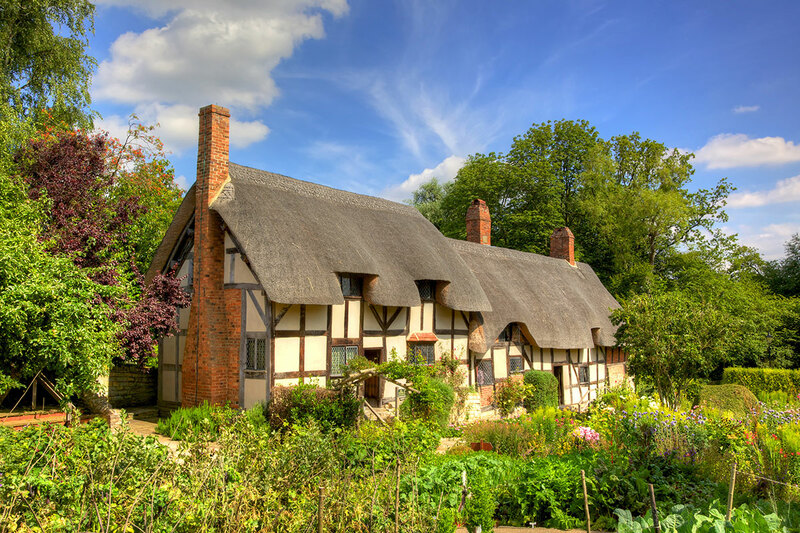 Explore the buzzing streets of London and visit the birthplace of Shakespeare in Stratford Upon Avon. Wander the quaint cobbled city of York before continuing your journey to the Lake District and Gretna Green, a place eloping couples would go to tie the know over the Marriage Anvil. Discover the dock the Titanic was built at in Belfast, before arriving in the beautiful city of Dublin. Learn the art of brewing Guinness and visit the impressive St Patrick’s Cathedral. Stroll around the cities of Kilkenny and Waterford, before crossing the Irish Sea to arrive in Cardiff, Wales. 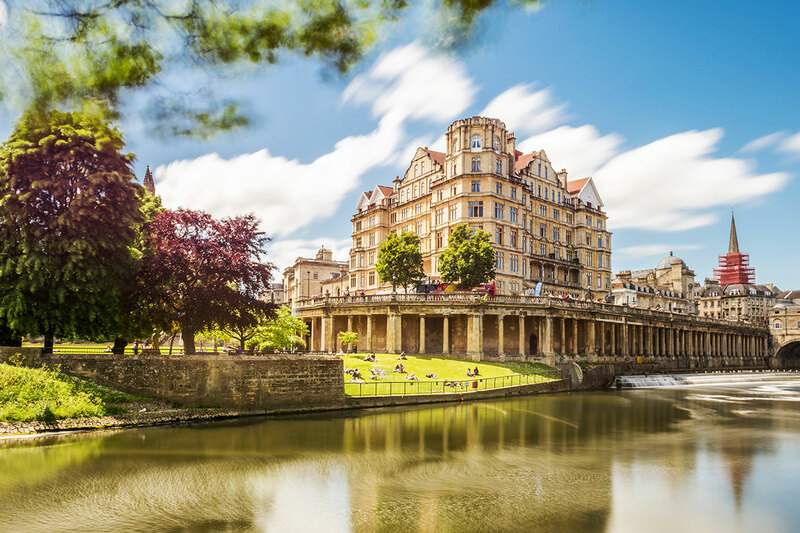 End your tour with a visit to the UNESCO-listed Bath where you can admire the elegant Georgian facades and world famous Roman Baths. Depart Australia today to begin your journey of Britain and Ireland. Welcome to London! Upon arrival at Heathrow International Airport, take a transfer to your hotel. The remainder of the day is at your leisure. 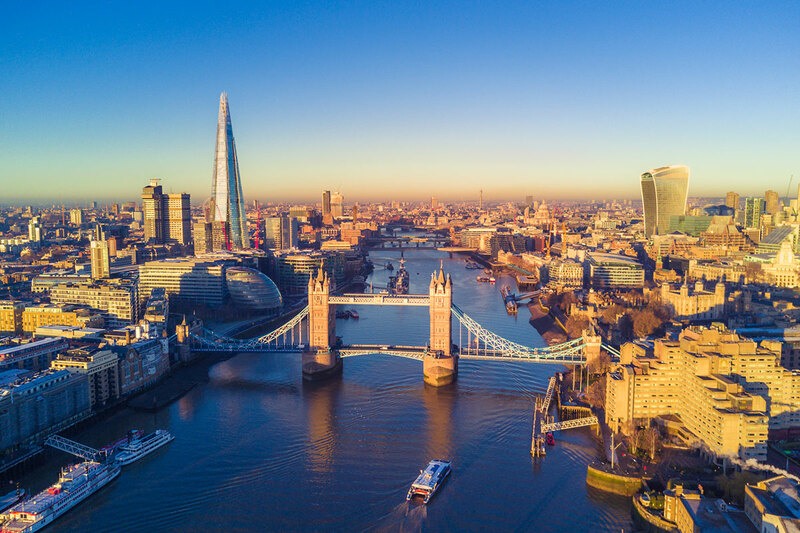 Knowledgeable Local Hosts will visit your hotel and assist you in booking London sightseeing trips, arranging tickets, providing departure information and answering any questions that you may have. Delve into centuries of history today – tales of star-crossed lovers, tragic kings and Roman emperors are brought to life as we visit Stratford-upon-Avon and follow in the footsteps of Shakespeare. 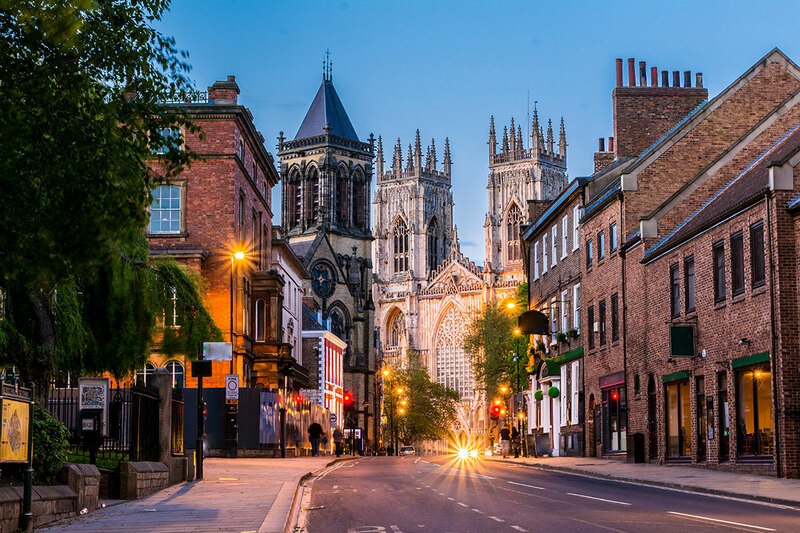 Visit his Birthplace and Visitor Centre before embarking on a scenic drive north to the Viking city of York where we’ll enjoy an orientation walk around its historic streets. View the quaint cobbled Shambles, see the ancient city walls and the magnificent York Minster. This evening we indulge in traditional pub grub at a memorable Welcome Reception in the Victorian spa town of Harrogate, our home for tonight. 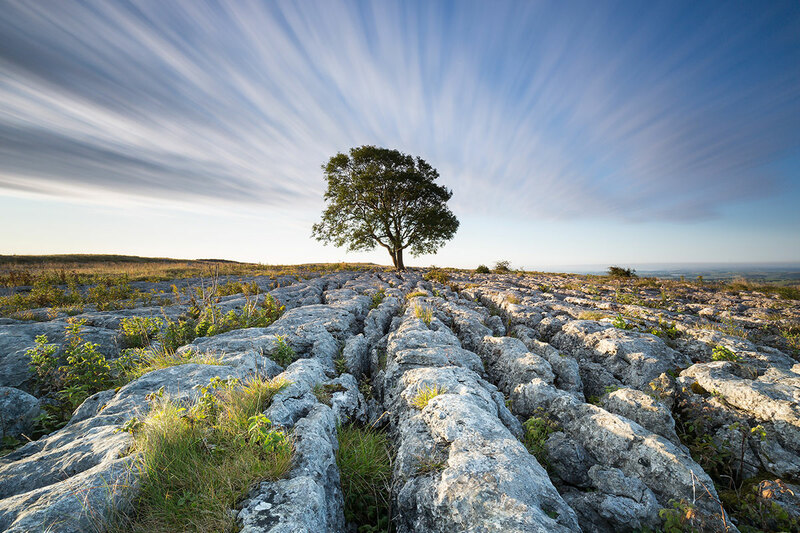 Stunning landscapes dotted with quaint stone villages offer a picturesque backdrop for our drive around the Yorkshire Dales National Park to the beautiful Lake District, which has inspired poets and writers for centuries. We meander past England’s pretty Lake Windermere to Grasmere, described by William Wordsworth as “the loveliest spot that man hath ever found”. View the grave of this famous Romantic poet at St. Oswald’s Church before crossing the border to the runaway wedding capital of Greta Green, where eloping couples would tie the knot over the Marriage Anvil. 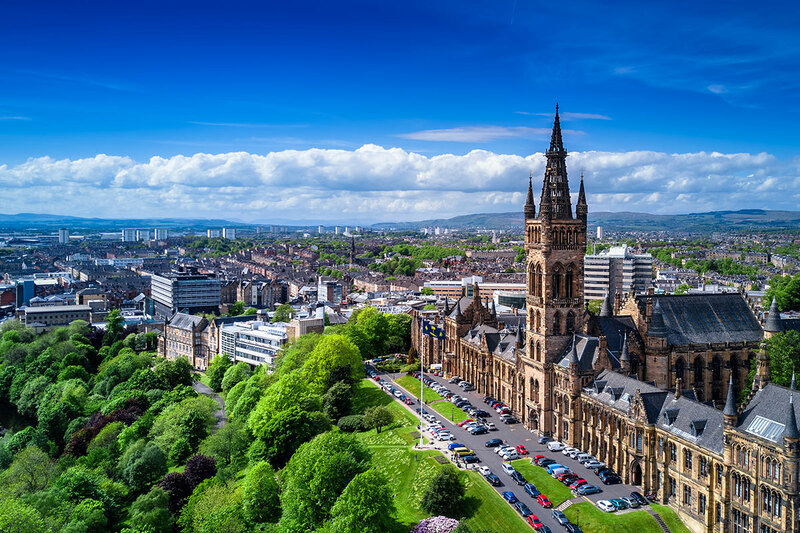 We arrive in Glasgow this evening where we will enjoy an orientation tour with views of the Cathedral and magnificent George Square lined with statues of some of Great Britain’s most celebrated sons. Optional Tour (additional cost applies): A Stirling Evening. See Stirling Castle and the Wallace Memorial by night. 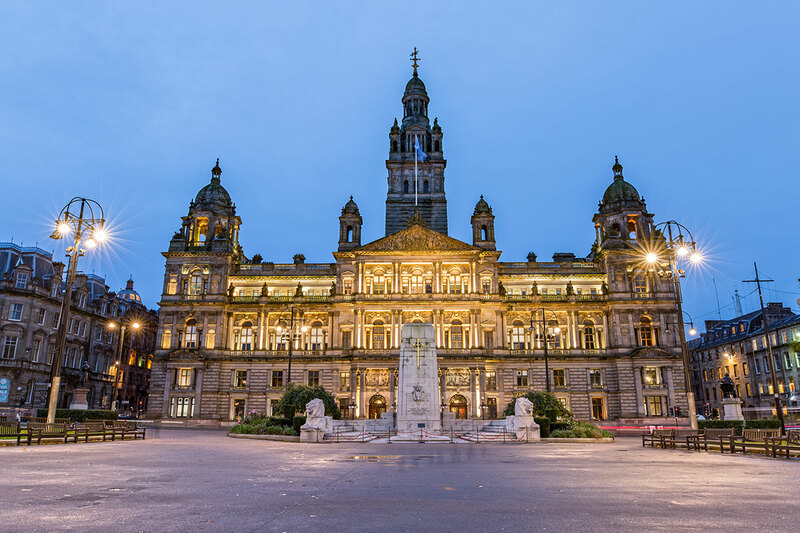 A truly local experience, you’ll be piped in to your evening meal in the historic Scottish city and enjoy an evening of Scottish delights. Optional Tour (additional cost applies): Private Cruise On Lake Windermere. Enjoy an exclusive cruise on a private boat on England’s most beautiful and largest lake, taking in the northern coastline, beautiful houses, gardens and Wray Castle. You’ll see deserted islands, boats and birdlife as you explore the area loved by Beatrix Potter and William Wordsworth. Optional Tour (additional cost applies): Windermere Cruise And Steam Train Ride. A chance to view the glorious scenery of the Lake District as we cruise across England’s largest lake. Then step back in time as we board the steam train for a short journey from Lakeside to Haverthwaite. 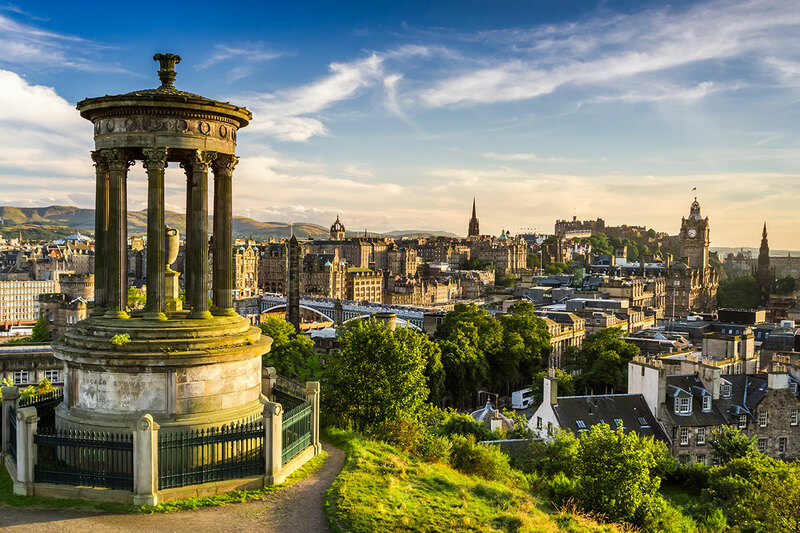 From the cultural capital of Glasgow to beguiling Edinburgh with its exquisite medieval façades, our encounter with Scotland will see us join a Local Specialist for a memorable sightseeing tour, including a visit to Edinburgh Castle, perched atop Castle Rock overlooking the city. We’ll see the Royal Mile, the elegant Palace of Holyroodhouse in the shadow of Arthur’s Seat and the new Scottish Parliament. 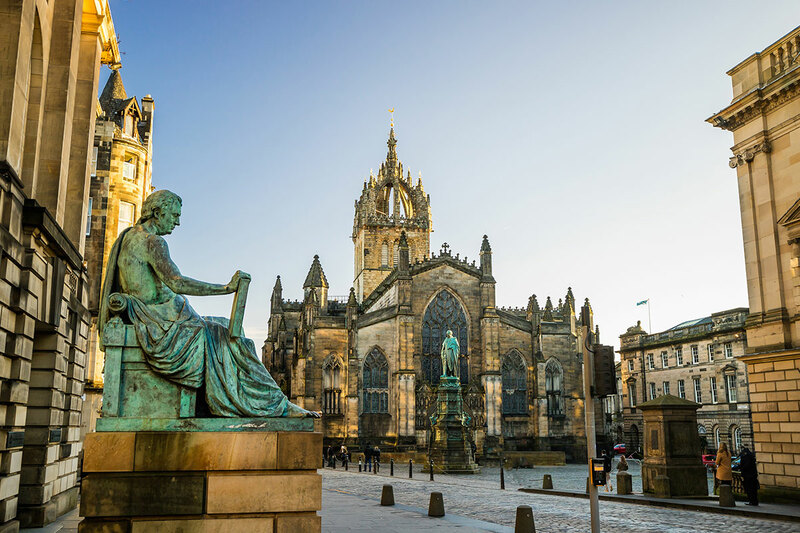 Admire the elegant Georgian architecture in the New Town and amble through the secret lanes of Auld Reekie before we return to Glasgow this evening for a delicious meal at a local restaurant. Optional Tour (additional cost applies): Royal Yacht Britannia. You’ll explore this magnificent ship, which has played host to some of the most famous people in the world. Now berthed in Leith, you’ll be welcomed on board to discover the heart and soul of this most special of royal residences – the former honeymoon sanctuary for four royal couples. Follow the rugged Ayrshire coast past the island of Ailsa Craig, the stepping stone from Ireland to Scotland, to board the ferry to Northern Ireland. 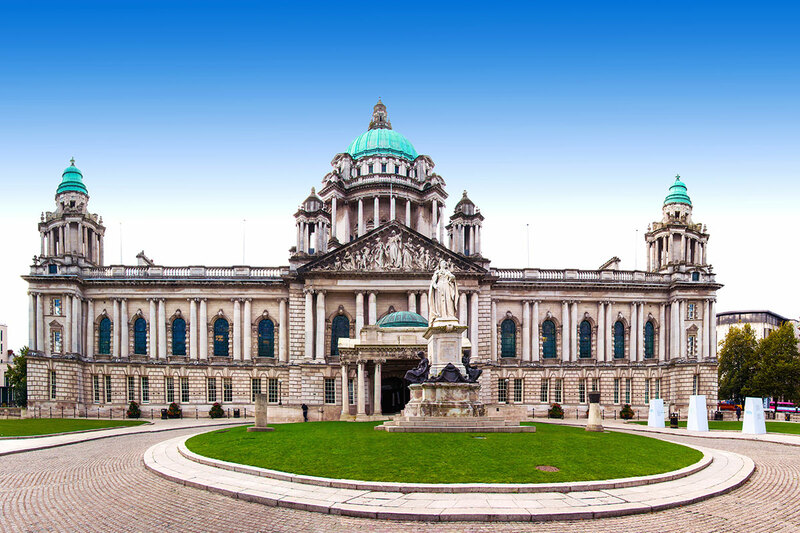 Join a Local Specialist and explore the crossroads of British and Irish culture in its capital, Belfast, where we’ll view City Hall, Queen’s University and the dock where the Titanic was built. This evening we arrive in the vibrant capital of Ireland where we’ll spend the next two nights. Optional Tour (additional cost applies): Dinner in Dublin City. Come to one of Dublin’s most locally-loved restaurant-pubs. You’ll enjoy dinner and charming hospitality that this part of the world is renowned for. 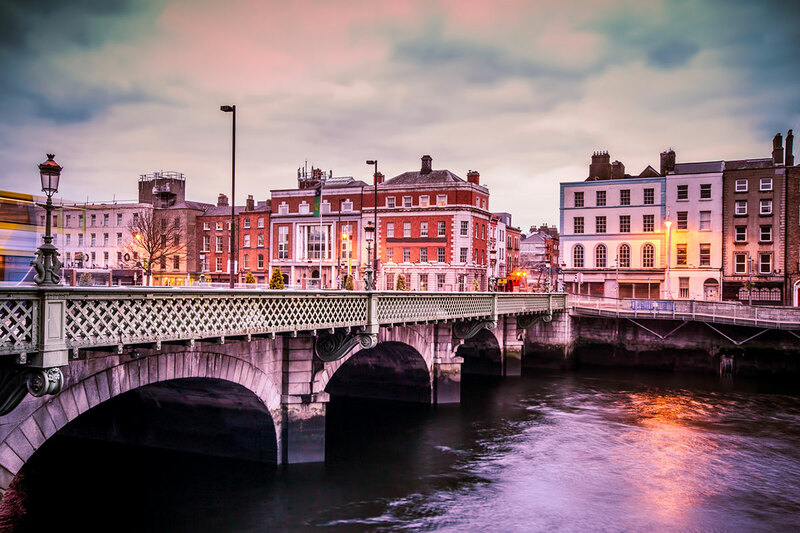 Drive through the charming streets of pretty Dublin with a Local Specialist. We’ll see the stately Georgian Squares, Trinity College and St. Patrick’s Cathedral, the tallest church in Ireland. Gain insight into the centuries-old tradition of Guinness brewing and enjoy a Storehouse tour and tasting technique demonstration, before spending the rest of the day exploring Dublin’s quaint city streets. Ramble through Temple Bar or Grafton Street, famous for its colourful street performers or consider visiting the Old Jameson Distillery. This evening join an Optional Experience to a rousing Irish cabaret performance. Optional Tour (additional cost applies): Dublin Dinner and Cabaret. Enjoy an evening of fine food and non-stop fun as Ireland’s history unfolds in a cabaret of comedy, song and dance. The cast will have you tapping your toes and joining in the show, all in the spirit of Irish humour. And you’ll even be served an Irish coffee to round off your dinner. Optional Tour (additional cost applies): Experience the Ancient Monastic Site of Glendalough. Enjoy a visit to one of the most important monastic sites in Europe, which dates back to the 6th century. Your Local Specialist will tell tales and show you around this sacred area, famous for its tranquil beauty amidst the rolling countryside of County Wicklow, the garden of Ireland. Fascinating Irish heritage and tradition are explored this morning as we gain a Cultural Insight into rearing world-class thoroughbreds at the Irish National Stud Farm established in 1946. Enjoy a guided walk through the farm and take some time to stroll through its tranquil Japanese Gardens, regarded as the best in Europe. Admire the imposing medieval castle at Kilkenny before some free time in this charming city for lunch. Our next stop sees us enjoying a Cultural Insight into the delicate craft of Waterford Crystal. We’ll watch master craftsmen at work during a tour of the workshop and see the exquisitely crafted pieces in the showroom. Optional Tour (additional cost applies): Irish Folk Fun. During this evening of entertainment, you’ll get the chance to experience Irish hospitality in the best folk tradition. Enjoy a drink while locals sing and play music for you. Optional Tour (additional cost applies): Explore Waterford’s History and Local Pub. Join us in Waterford, where the history dates back as far as the Vikings. Your Local Specialist will bring the historic area to life through stories and anecdotes; one guest even described the trip as the “best history lesson ever”. Afterwards, we stop off for a drink in one of the area’s oldest pubs for a pint or drink of your choice. 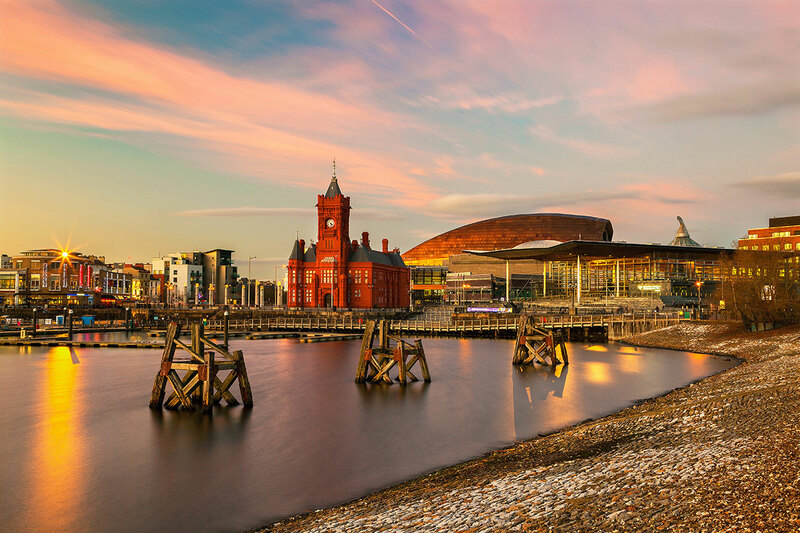 Cross the Irish Sea to Wales by ferry and continue your journey to the Welsh capital of Cardiff to view the Millennium Centre, National Assembly and historic Cardiff Castle at the heart of the city. This evening join a local Welsh family in the idyllic Welsh countryside for a memorable Be My Guest Farewell Dinner. 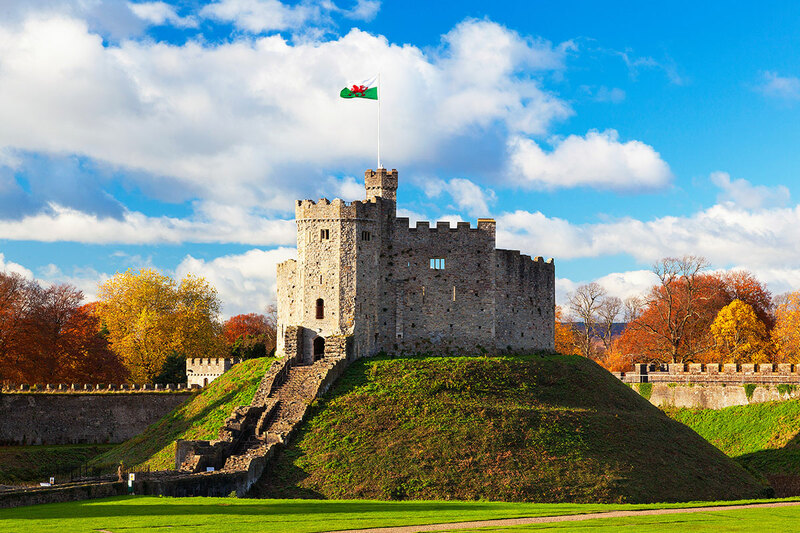 Optional Tour (additional cost applies): Cardiff Castle Tour. You’ll explore this unique castle on a private tour and hear tales about the eclectic refurbishments. Done in the 1800s by architect William Burgess, his influences included Islamic art, Hans Christian Anderson’s fairy tales and even Aesop’s fables. You’ll also walk on the battlements and climb the 900-year-old Norman keep for superb views over Cardiff. Traversing the Severn Estuary into England, we arrive in the glorious UNESCO-listed Bath with its elegant Georgian façades and world-famous Roman Baths from which the city derives its name. 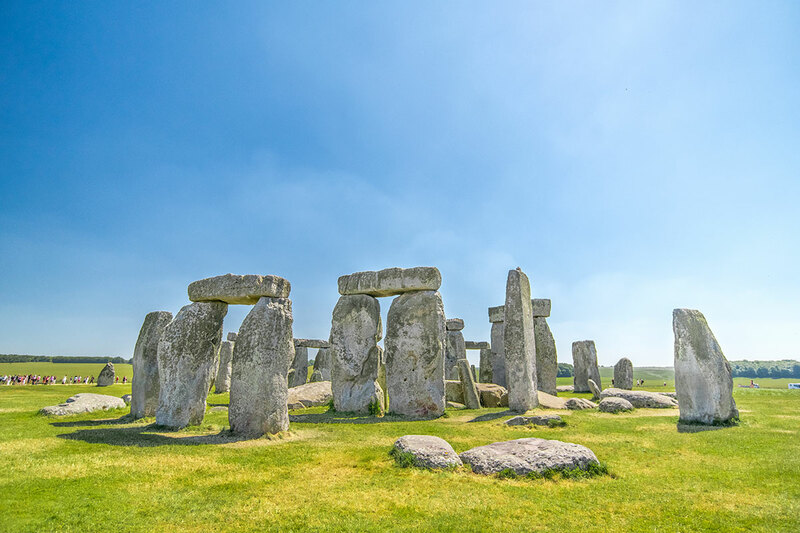 Journeying across the picture-perfect landscapes of Wiltshire, we visit the mysterious monolithic stone circle at Stonehenge, whose myths and mysteries have yet to be fully revealed, returning to London later where our memorable holiday in Britain and Ireland comes to an end. 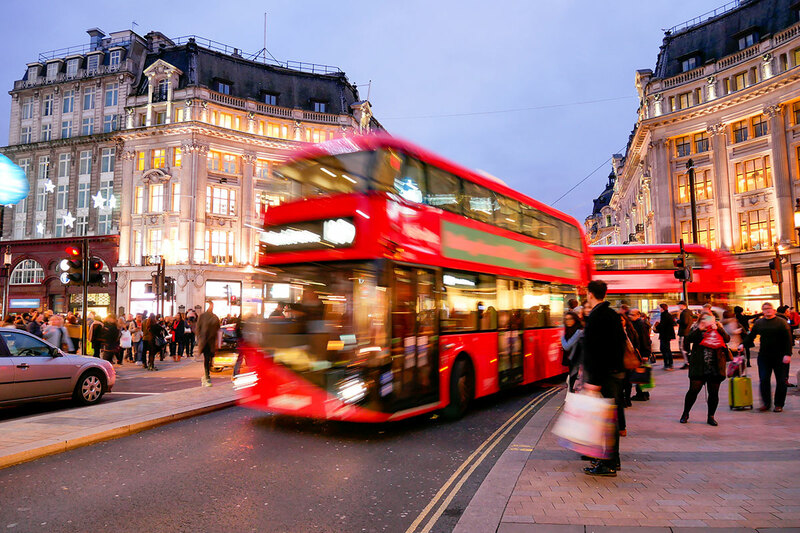 Bid London farewell today as you take a transfer to the airport for your homeward flight. Excludes: Travel insurance, Airport transfers, Porterage, Tipping, Visas, Personal expenses, anything not mentioned or “optional” or “own account” in the itinerary.